As IF it’s December already. I’m feeling pretty damn festive – the tree is up in all its glory and I’ve got an insane amount of Christmas candles on the go. I started getting well into Christmas food mode last weekend. 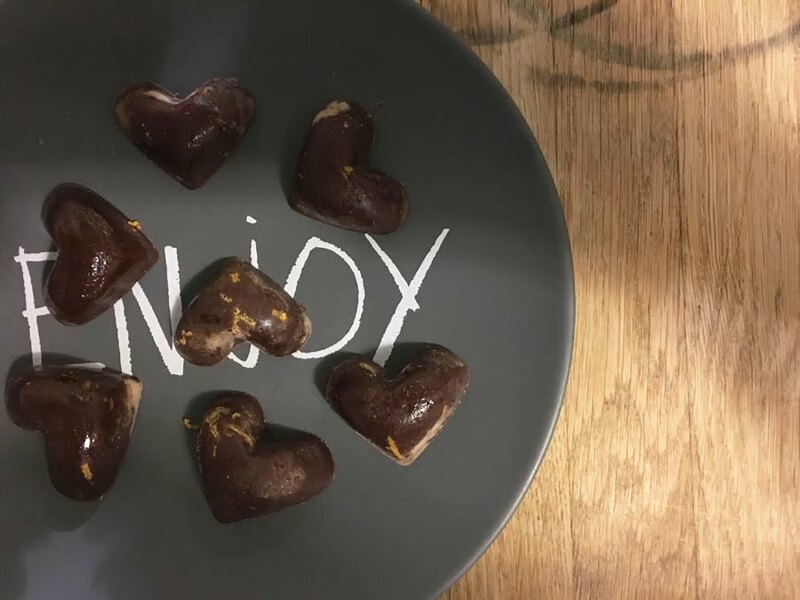 Chocolate always features very heavily in anything sweet I make at this time of year, so I got to making a batch of these delicious pure chocolates from Deliciously Ella’s site. Using her basic recipe, I spiked these with orange zest for a true Christmassy flavour and scent. The best thing about these chocolates are that they aren’t any ordinary chocolate – they’re a healthy indulgence and kinda good for you too (excellent). Packed with cacao butter and raw cacao powder (hello antioxidants), they are such a delicious guilt-free treat. 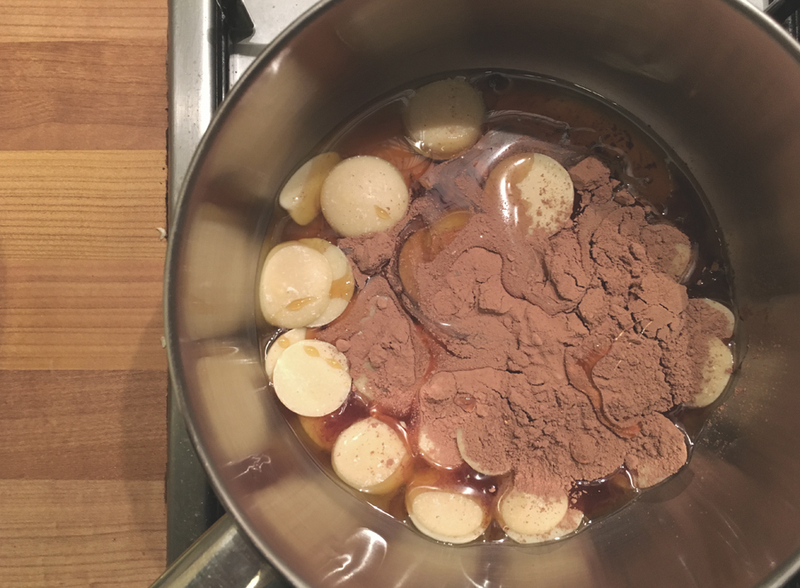 The great thing about this recipe, is that there are so many different things you can do with the basic recipe, so it’s easy to have a play about an add whatever you’re into – cinnamon and nutmeg, vanilla – you could even add in some sugar-free flavour drops for a sweeter hit. 2-3 tbsp rice malt syrup/maple syrup (rice malt syrup is better for a gooey caramel-like centre FYI) This couldn’t be a simpler method. Melt everything together in a pan over a very low heat (don’t go boiling it though). These will then keep in the fridge in an air tight container for ages, but I can guarantee they’ll be gone within about 10 minutes. They’re that good. What are your favourite festive flavour combinations?